Born in 1950. 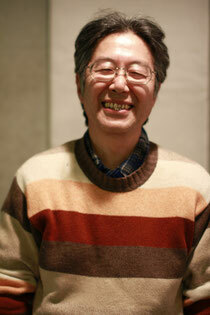 He started listening to western music at the age of 12 and soon became a huge fan of FEN (Far East Network Radio). Right after graduating the university, he started his career as a professional musician. He is the legendary guitarist of 80's and 90's who performed with Masami Naito from "Carmen Maki & oz", Shigeyuki Kawakami, Masatoshi Ueda from “Tulip” and the others. Later he became a session player and had created his original trans-border music style. In 2012 he formed a band called "Guitar-er Trio" and released its first album “296141". The band went on a road tour throughout Japan and was invited to appear on FM/AM radio programmes and at the festivals. On December 3, 2014, their second album “Pandora ~10th dimensional Illiad~" will be released. 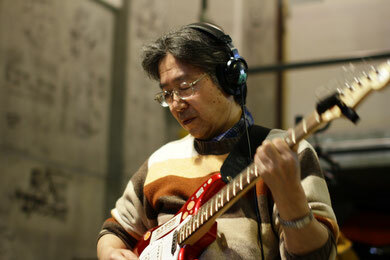 From Nagano to the world, he keeps on sending out his one and only music style.